Provide comfort for the family of Frank Schulte with a meaningful gesture of sympathy. Frank Joe Schulte, 88, of Platte, SD passed away Tuesday, December 18, 2018 at the Armour Care and Rehabilitation Center. Funeral Mass is 10:00 A.M. Friday, December 21, 2018 at St. Ann’s Catholic Church in Geddes, SD. A Committal Service with Military Honors will follow at St. Ann’s Catholic Cemetery. Visitation will be held at the church from 5:00 – 7:00 P.M. Thursday, December 20, 2018, there will be a 6:45 P.M. Rosary and 7:00 P.M. Wake Service. 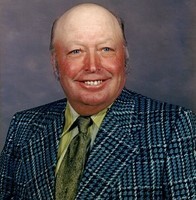 Frank Joe Schulte was born on September 9, 1930 to John and Emma (Kubal) Schulte in Geddes, SD. While growing up, Frank worked on his family’s farm after school and during the summer months. He graduated from Geddes High School in 1949 and entered the US Air Force on December 6, 1951. Frank served his country while stationed in Japan and was honorably discharged as Staff Sergeant on December 1, 1955. Upon his return to the states he purchased a new Mercury in Texas and drove back to South Dakota with his parents. After his return to Geddes, Frank started a small farm of his own east of Geddes, which he continued to add on to as the years passed. On January 16, 1993 Frank was united in marriage to Norma (King) Sly. He was a member of St. Ann’s Catholic Church and Deiman-Gray American Legion Post #56 of Geddes. Grateful for having shared Frank’s life are: his wife of 25 years, Norma Schulte of Platte, SD; eight step children: Burton (Jacque) Sly of Rapid City, SD, Deb (Don) Nachtigal of Academy, SD, Cindy (Dwight) Rott of Dawson, ND, Ron Sly of Platte, SD, Kerry Sly of St. Paul, MN, Kim Sly of Platte, SD, Gregg (Rita) Sly of Stickney, SD and Vickie (Tom) Boltjes of Platte, SD; twin sisters: Loretta Larson of Geddes, SD and Luella Parthenay of Vancouver, WA; along with many nieces, nephews, step grand and great grandchildren. Frank was preceded in death by his parents, John and Emma Schulte; two brothers: Jim Schulte and Lawrence Schulte; and two sisters: Mary Ann Winders and Margaret Preuss. To send flowers in memory of Frank Joe Schulte, please visit our Heartfelt Sympathies Store.